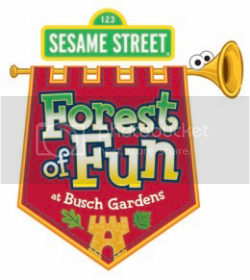 Virginia resident children up to age 5 can visit Busch Gardens Williamsburg again for FREE this summer, thanks to the return of the Forest of Fun Preschool Pass. Go here to register. The Sesame Street Forest of Fun Preschool Pass is back and better than ever. This pass now offers unlimited admission to both Busch Gardens Williamsburg and Water Country USA for kids ages 3 through 5, who are Virginia residents, through Sept. 2, 2013. Hurry, passes must be registered and redeemed at the park by May 31, 2013. Registration fine print: Offer valid for Virginia residents only. To receive the free Busch Gardens Preschool Pass, registration confirmation and valid form of identification must be presented at a Busch Gardens or Water Country USA ticket window. Valid identification must include a copy of a certified birth certificate or a travel passport. Please note school IDs or children security IDs will not be accepted. E-mail notification will be sent to the parent/guardian only. Children two and under are free anytime. What does pass being redeemed by the park by May 31 if the pass is valid until Sept 2nd? I’m a WV resident, our youngest is now 3 and the last 2 years we’ve used our 2 year passes…he didn’t need one. Now to finish up our 2 year pass that expires in September 2013, we have to buy him a 1 year pass?! I wish this offer extended to us WV residents! Jeremy – Ugh, I don’t know, that’s a great question. I would think so… but you are probably more familiar with the procedures that they use with season pass holders – did they request proof of his age last year when you visited? Our son is 5 but will be turning 6 at the end of June. We’d like to visit in May is he eligible for the pass? also how does this exactly work? I’m looking for fun pass or season pass deals. You have had some good ones posted in the past. Where or when should I look? Great Busch Garden’s deal for kids 3 – 5 years! VA Residents only…. I do Daycare and would like to get one of these for one of my daycare kids. If his mother fills out the forms can *I* redeem it for her at the park? She doesn’t have park passes but I do and I would be the one taking him during the summer. Jenna, my daughter’s Daycare took all 23 of them last summer with no problem. They just took a copy of everyone’s birth certificate. Also once your child gets one their info is in the system. This year I took my daughter and her cousin for spring break and didn’t have either of their birth certificate. They just looked it up and verified the information was the same as last year. Good luck!! Can Grandparents who are Virginia residents get passes for grandchildren? They have a different last name. My son was born overseas due to us being prior military, but now we own a home in Virginia and have for the last 3 years, I have a Virginia license and pay Virginia taxes and everything, Is my son eligible? My daughter turns three in June. Can we validate her pass by May 31, or will they say she is too young? Per step 3 of the redemption instructions, I see that there is a seperate entrance for the Forest of Fun at Zone D. If I only want to got to the park to take my child to the Seasame Street part, will I need to buy an admission ticket for myself? Does the child have to be with the parent when you redeem the preschool pass. @John…I just signed up for our pass, and when I did, there was a question that asked if you were the child’s parent, grandparent, or guardian…so I would take that to mean that, yes, grandparents can get the passes for their grandkids. But you still have to show up AT the park, WITH the kid, AND the printout, AND their birth certificate, by the end of May. How can the pass expire on Sept 2013 but must be redeemed by May 2013?? It expires in May! so was good for about a month. Pointless.